Several senior BJP leaders have made fun of Rahul Gandhi's temple visits. Bhopal: In an attempt to undercut the Congress party’s subtle message to voters that the Congress too is ‘pro-Hindu’, Bharatiya Janata Party’s star campaigners are questioning Congress president Rahul Gandhi’s Hindu credentials in poll-bound Madhya Pradesh. According to Uttar Pradesh chief minister Adityanath, Rahul went to many temples, but when he knelt down to pray, the pujaari at the temple had to tell him that he was in a temple, not a mosque. “Gujarat mein Rahul Gandhi ne bahot mandiron ke darshan kare, lekin jab mandir mein darshan ke waqt vo ghutno pe baithe, to pujari ko bolna padha, ki ye mandir hai masjid nahi hai (In Gujarat, Rahul Gandhi went to many temples, but when he knelt down to pray, the pujaari at the temple had to say that this is temple and not a mosque),” Adityanath roared at a rally in the Badanawar constituency, Dhar district. Barely 24 hours before that, Prime Minister Narendra Modi had attacked the Congress for its ‘double standards’ on cow protection, saying that the party talks about opening cowsheds in MP, while in Kerala it has no problems with beef eaters. “MP ke manifesto mein gai ka gaurav gan karte ho Kerala me khule aam raste par Congress ke log gai ke bacchade kat kar uska mans khate hue tasvir nikal ke batate hain ki gaumans khana hamara adhikar hai. Ab Kerala ki ya MP ki Congress sach hai? Desh ko sach bataye (You eulogise the cow in MP but Congress leaders in Kerala slaughter calves and take pictures of themselves eating beef. They say eating beef is their right. So, which is the real Congress, the one in Kerala or the one in MP? Tell the country the truth,” Modi said in Chhindwara, the political bastion of Congress’s MP chief Kamal Nath. Nath has won the Chhindwara parliamentary seat as many as nine times. Senior BJP leaders say that Modi was referring an an incident of alleged calf slaughter in Kerala’s Kannur last year to protest against the NDA government’s (now withdrawn) notification on the sale of cattle for slaughter. Modi also took a jibe at the Congress president by asking the crowd if they had seen a video in which Rahul Gandhi fails to respond to a question about his experience at Kailash Mansarovar. “He kept mum and looked here and there,” Modi said. Union home minister Rajnath Singh too toed the same line, if in a more dignified manner. The Congress party’s “temple runs” will not work in its favour, Singh said while addressing an election rally in Anandpur, part of the Sironj assembly segment in Vidisha district. External affairs minister Sushma Swaraj too joined to chorus, saying that earlier the Congress projected Rahul as secular, and then as a Hindu leader. When this too didn’t work, he was sent to Kailash Mansarovar, from where he returned as Shiv bhakt. Rahul also came under attack from BJP president Amit Shah. In a meeting in Narsinghpur, Shah said the Congress president is suffering from ‘Modiphobia’. The BJP’s decision to reiterate its hard Hindutva stance is not surprising. Senior BJP leaders says the party is having a tough time in the upcoming assembly elections in at least two of the three party-ruled states, and thinks the Hindutva card may turn the tide. According to a political analyst, in MP, over 90% of voters are Hindu, followed by 7.5% Muslim. Three BJP-ruled states – Madhya Pradesh, Rajasthan and Chhattisgarh – are heading to the polls. Ahead of the elections, the Congress party is busy trying to showcase its ‘soft Hindutva’ ideology. Days before the Election Commission’s poll bugle, Congress president Rahul Gandhi went on a temple, mosque, gurudwara run across MP. 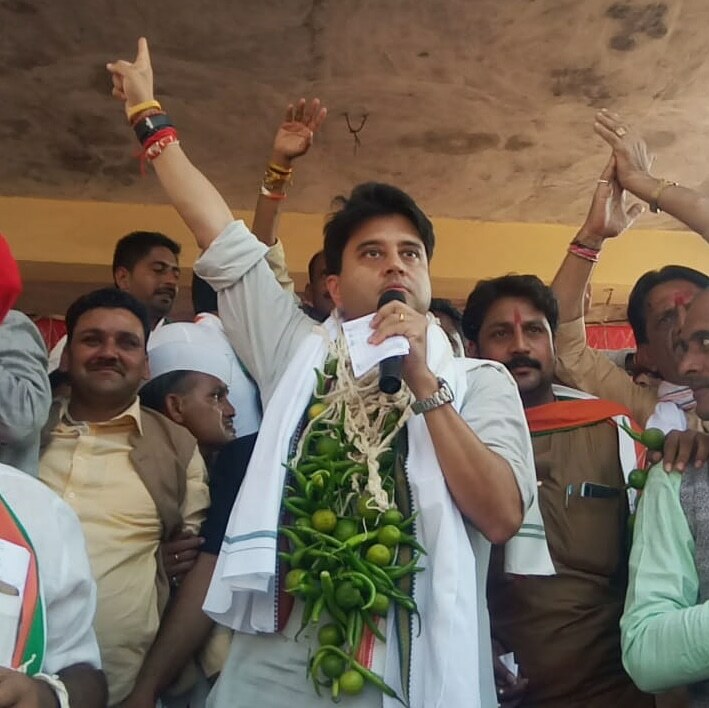 He was closely followed by the state Congress president Kamal Nath and the party’s chief campaigner, Jyotiraditya Scindia. In its manifesto too, Congress played the soft Hindutva card to woo Hindu voters, traditionally seen as the BJP’s vote bank. The manifesto promised to build gaushalas (cowsheds) in every gram panchayat, set up new a adhyatmik vibhag (department for spirituality) and open new Sanskrit schools across the state. The manifesto also announced Congress’s plan to put a ban on RSS shakhas in government buildings. The BJP reacted to this sharply, alleging that the Congress is showing blatant hatred towards the RSS and Hindus. “It seems that the Congress has only one motto – ‘Mandir nahi banne denge; shakha nahi chalne denge (Won’t allow a temple to be built; won’t let RSS camps be organised)’. The Congress party is against the construction of a Ram temple. They have been vocal about it on several occasions,” BJP spokesperson Sambit Patra said. Days later, a video clip purportedly showing Kamal Nath cautioning a group of Muslims against the RSS’s “scheming” went viral. The BJP alleged that Nath had indulged in hate speech. When a video clip of Jyotiraditya Scindiya throwing a coconut smeared with vermilion from a car window surfaced, the state’s BJP chief minister, Shivraj Singh Chouhan, said that “Congress leaders believe in black magic”. In his speeches, Rahul has repeatedly been using the “chowkidar” jibe to attack Prime Minister Narendra Modi. This refers to Modi 2014 speech saying that he wanted to be the country’s watchman, not prime minister. “It was thought that he would become the chowkidar of farmers, labourers, youths, mothers, sisters and weaker sections. But he became a chowkidar for (industrialist) Anil Ambani,” he alleged. “The chowkidar remained silent when Nirav Modi, Vijay Mallya, Mehul Choksi (all accused of committing financial frauds) escaped from the country after usurping thousands of crores.” Money is being put in the pockets of 15-20 select industrialists, the Congress president alleged. State Congress chief Kamal Nath, a nine-time MP from Chhindwara, has been warning government officials who were biased in favour of the BJP that is ruling the state for 15 years. “Yaad rakhna, 11 ke baad 12 bhi aata hai (All officials should remember that December 12 will come after December 11),” said Nath, addressing an election rally in Bhopal’s Piplani locality. 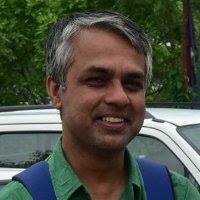 Girish Sharma is the candidate from the area, which falls under the Govindpura assembly seat – a BJP bastion. The BJP has won the seat nine times in a row. The Congress president reportedly made about 30 visits to temples during his campaign for the 2017 Gujarat assembly elections. He visited several temples even while campaigning for the Karnataka assembly elections earlier this year. What remains to be seen is how all of this will play out in the electoral arena of MP, a key state for any party wanting to be in power at the Centre.